For now, people caught entering the U.S. illegally are given an ankle bracelet and a bus ticket to go stay with family while awaiting their immigration hearing. The process is known as "catch and release." If viewing on the ABC10 mobile app, click here for multimedia. 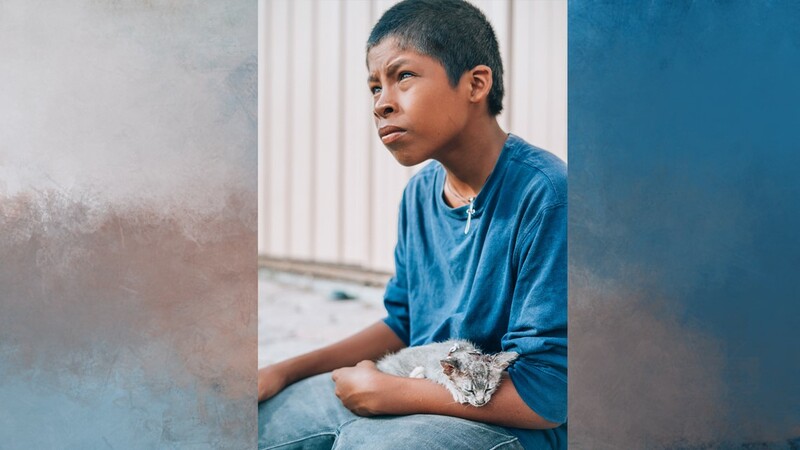 Editor's note: Earlier this year, ABC10's Lilia Luciano and Michael Anthony Adams traveled to the Texas-Mexico border to talk to families trying to enter the United States. Right now, a caravan of Central American migrants, many from Honduras, are marching into Mexico bound for the United States. Reports say the number of migrants grew to at least 7,500 people Sunday, despite threats from President Donald Trump to use the U.S. military to seal the border and to withdraw aid from the Central American countries that haven’t been able to stop their citizens from coming to the U.S.
One of the Department of Homeland Security and the Trump Administration’s goals is to end the practice they call “catch and release,” – which Lilia and Michael explored from the ground. The family was caught crossing into the U.S. in late June, just days after President Donald Trump signed an executive order reversing a policy of detaining parents while their children were sent into federal custody. After three days in “the freezer” — which is how some migrants refer to the detention center in which Argentina was held — she and her daughters were released into the U.S., having narrowly missed forced separation. 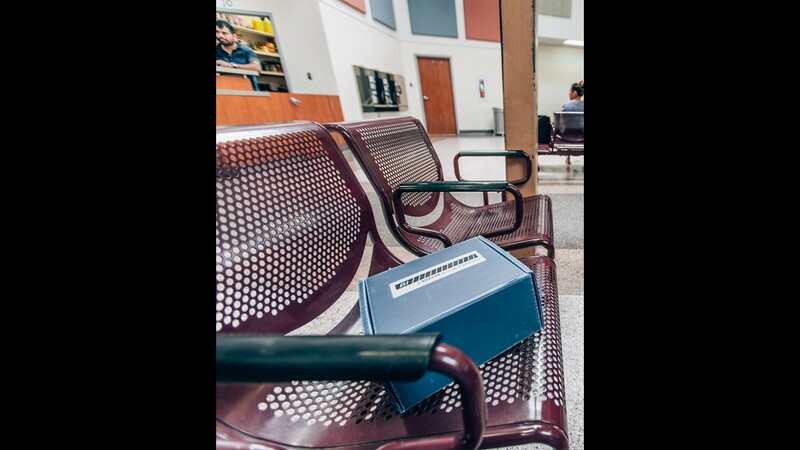 Argentina sits on a bench in the McAllen, Texas, bus station with her three daughters, waiting for their trip to Atlanta. 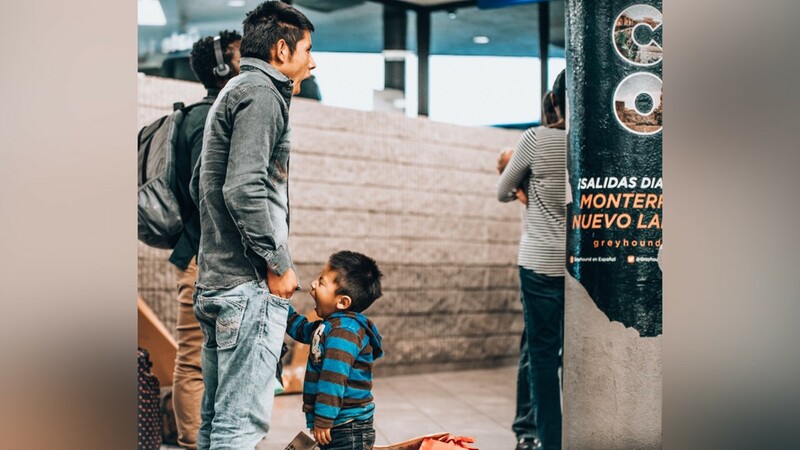 On a muggy Tuesday night at the McAllen Central Bus Station, Argentina cradled her baby, while her eldest daughter slept sprawled across the station’s metal seats, and her four year old — her eyes heavy with their weeks’ long journey — scowled and said, “I am not sleepy!” They had been in the U.S. only a few days; they were set to travel by bus to Atlanta, where they would meet her aunt, and where she already has a court hearing scheduled so she can plead for the family’s asylum. There were dozens of families at the terminal that evening, each with a yellow envelope that contained information about their upcoming hearings. Most had a sheet stuck to the front of that envelope that read: “PLEASE HELP ME. I DO NOT SPEAK ENGLISH. WHAT BUS DO I NEED TO TAKE? THANK YOU FOR YOUR HELP!” On the back of the envelope were the details of their journeys; some of the families were headed to Dallas, others to Florida, New York, and Virginia, and one as far as Maine. 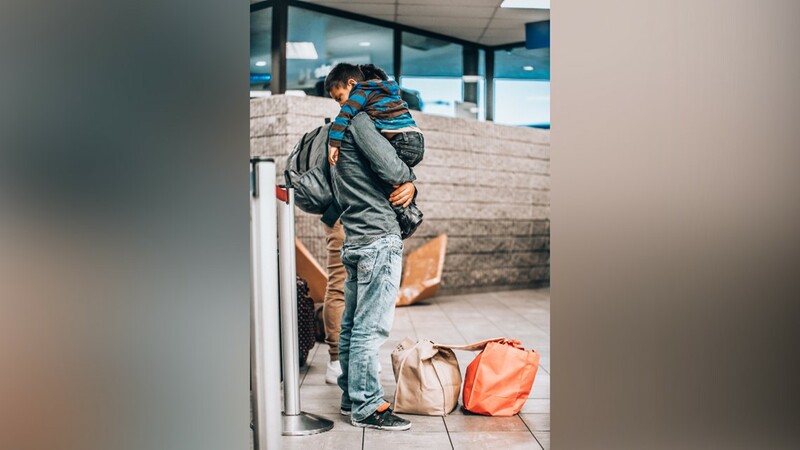 They may be among the last families to be released from detention to stay with friends and relatives in the U.S. while they wait for their cases to be processed. One of the hundreds of folders immigrant families were carrying displaying their trip itineraries. In April, the Trump administration announced plans to end the practice of allowing migrants to stay in the U.S. with friends or relatives in the U.S. while their immigration cases are pending — which has previously been described as “catch and release.” The directive saw more than 2,300 children sent into federal custody while their parents were detained, leading to public outcry and the hastily-signed executive order, which made it clear that the administration's policy was to detain “alien families together” when possible. 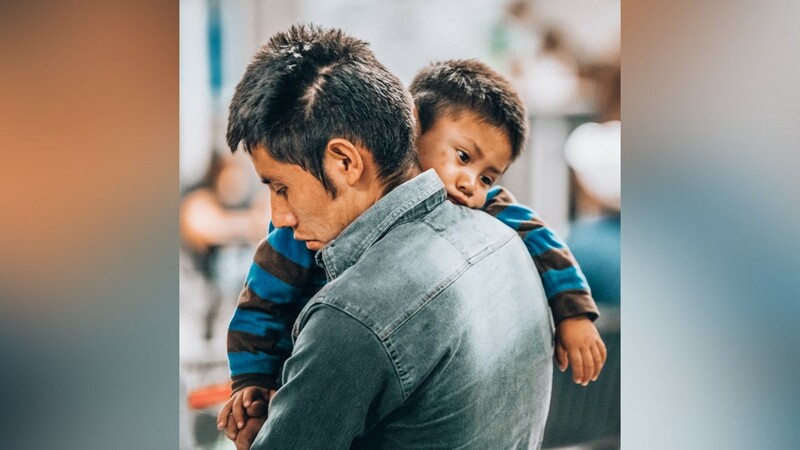 On June 29, the justice department filed an announcement that it would keep families in detention “during the pendency of” their immigration cases, making the Trump administration’s policy one of indefinite family detention official. Processing immigration cases can take months, and sometimes, years. This administration is really pushing the boundaries in an attempt to expand detention in a way that we have never seen before. In the meantime, the administration is rapidly expanding its detention facilities; memos have revealed plans by the U.S. Navy to build sprawling detention camps on remote military bases that could hold tens of thousands of migrants. 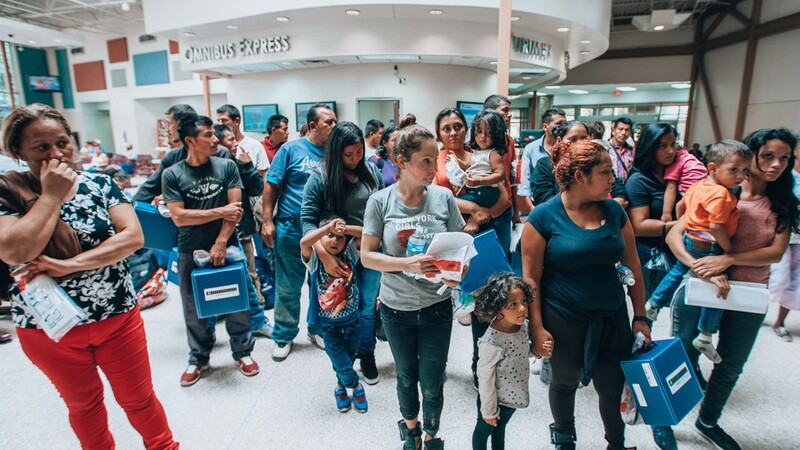 In late June, the Department of Homeland Security requested space for up to 12,000 beds for families at one of those bases — 2,000 of which they said they wanted up and running in the next 45 days. “This administration is really pushing the boundaries in an attempt to expand detention in a way that we have never seen before,” said Joshua Breisblatt, a senior policy analyst with the American Immigration Council. Under Trump, U.S. Immigration and Customs Enforcement (ICE) is operating a record 40,000 detention beds nationwide. Another concern is that the administration “could really try to gut all access to due process and counsel on these military bases,” Breisblatt said. 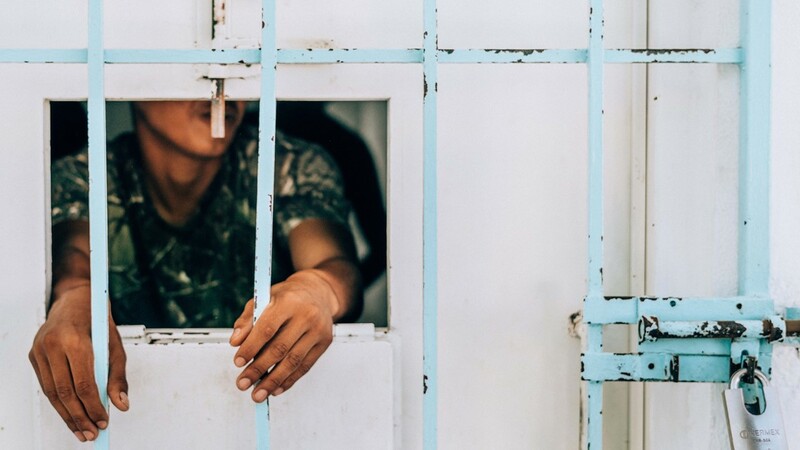 Because of a 1997 court agreement known as the Flores settlement, which is intended to protect children (and, when applicable, their accompanying parents) from harsh, prison-like conditions, there is a limit on the amount of time families can remain in federal custody. 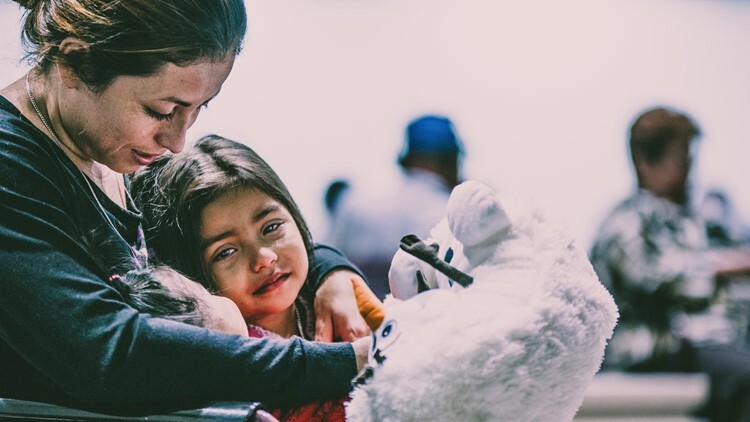 But in the president’s executive order, he also directed the Department of Justice to file a motion to amend the Flores settlement so that parents and children could be indefinitely detained. I wasn’t coming for better opportunities. I was coming to save my life. This is not the first time an administration has tried to challenge Flores. In response to a sharp rise in border crossings in 2014, the Obama administration sought to expand use of family detention, but federal courts ruled that a child and any accompanying parents could be detained for no more than 20 days. On July 9, Judge Dolly M. Gee, who presided over the 2014 case, said there was no basis to amend Flores to allow for prolonged family detention. In the ruling, Judge Gee wrote that “absolutely nothing” prevented the government from reconsidering its “current blanket policy of family detention and reinstating prosecutorial discretion.” So far, however, the Trump administration has argued that in order to pursue a “zero tolerance” policy, it needs to detain migrants pending their legal proceedings. 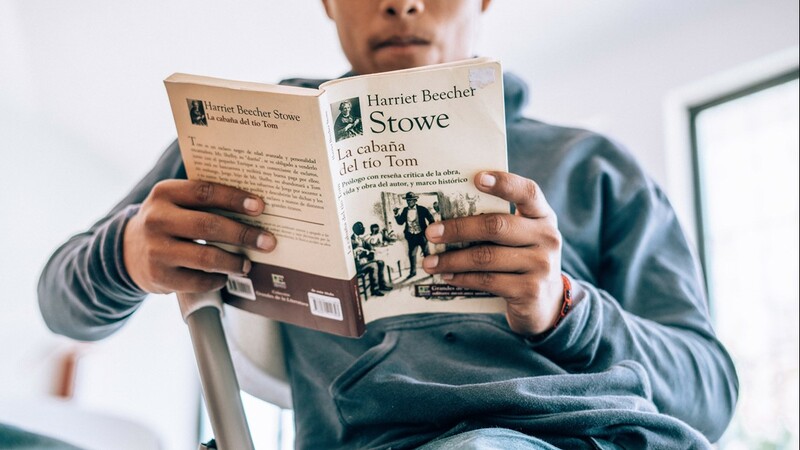 Breisblatt called this move a “false choice.” Other options, including releasing migrants with ankle monitors or into closely monitored family case-management programs, have proven to be both cheaper and more effective than detention. Holding a family in detention costs $319 a day, whereas detention alternatives can cost as little as $4.50 a day. And while Trump has long touted the idea that people have to be detained because they “never come back” if they are released into the U.S. to await their hearings, this is simply not true. 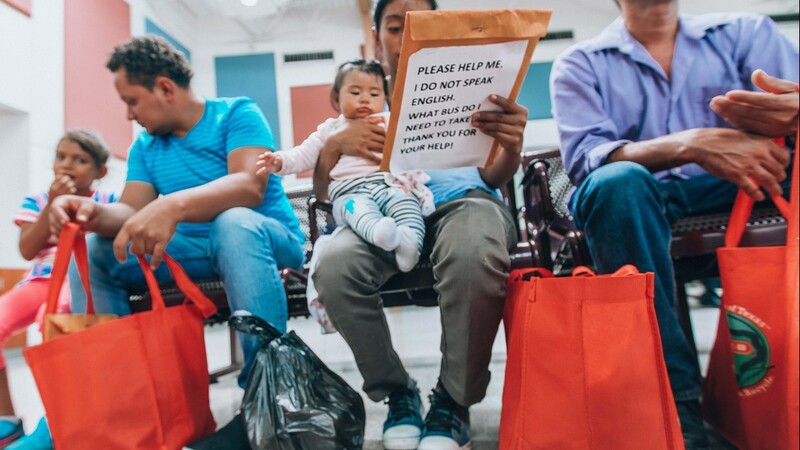 Asylum seekers “show up overwhelmingly for their court cases,” said Sara Elizabeth Dill, a D.C.-based international human rights attorney who has been working to help detained parents find their children. 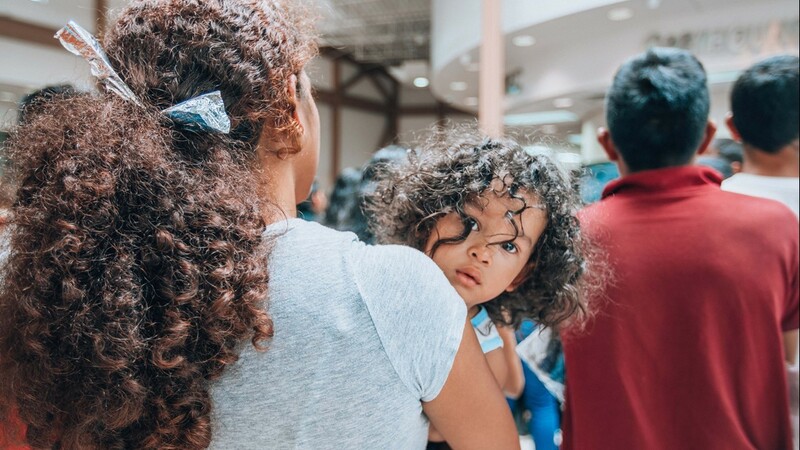 According to Justice Department data from 2016, three out of four migrants showed up for their hearings, and that number is even higher for children and mothers with legal representation. If they had the capacity to put them in detention they would do that. None of them would be released. But this has not stopped the Trump administration from saying that family detention is the best solution to family separation. 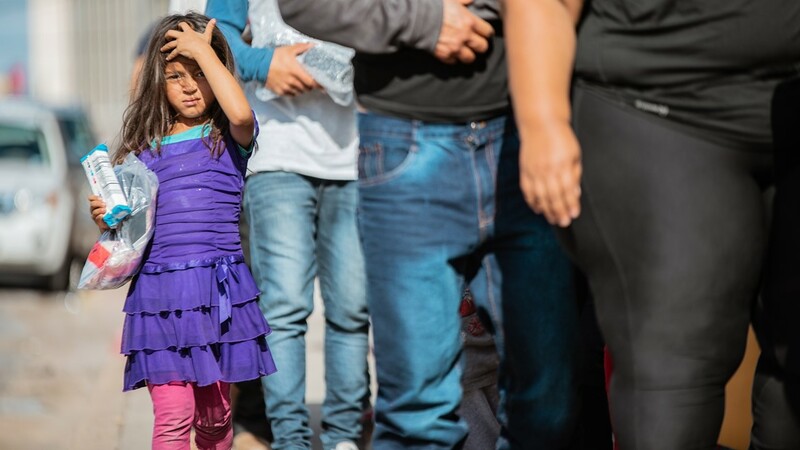 “If they had the capacity to put them in detention they would do that,” said Sister Norma Pimentel, the executive director of Catholic Charities of the Rio Grande Valley. “None of them would be released.” Under the current terms, ICE drops migrants at the central bus terminal, so long as they can prove they have somewhere to stay in the U.S. They are often “dirty, muddied, and afraid,” said Pimental. Catholic Charities takes them to a shelter where they can shower, have a hot meal, change into new clothes and call their relatives to arrange their arrival. 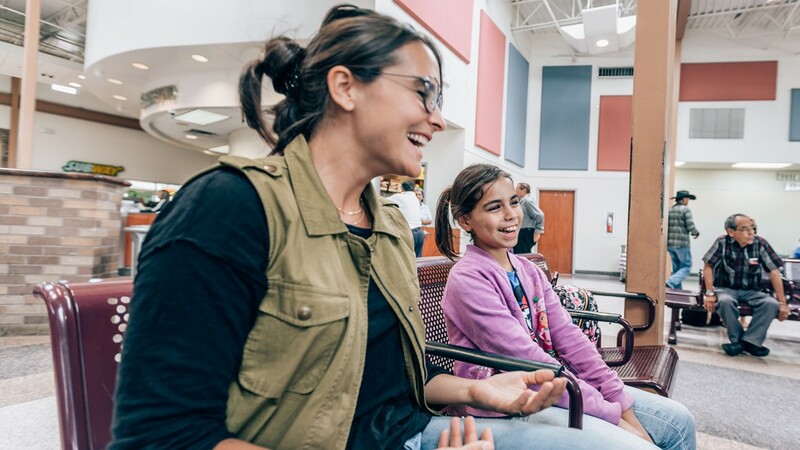 Many, including Argentina and her daughters, spend a night or two in McAllen before going on to their next destinations. 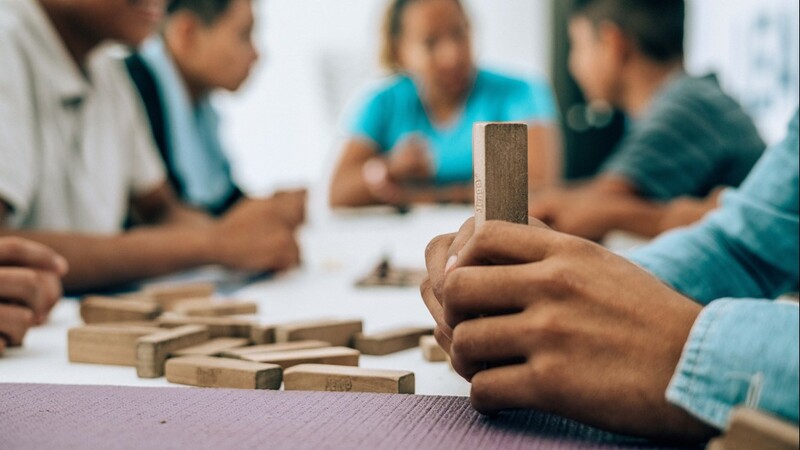 When Argentina’s family arrived in late June, there were around 100 families coming through the Catholic Charities shelter per day, said Brenda Nettles-Riojas, a spokesperson for the shelter. As each new group arrived, those volunteering at the shelter clapped and welcomed them in Spanish. 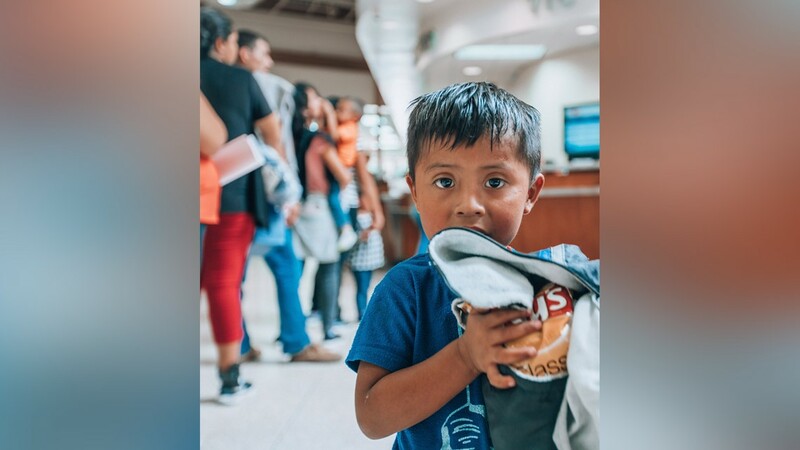 Those who had come earlier in the day spoke quietly amongst themselves, ate pizza, rocked their babies to sleep, or knelt over to replace their shoelaces, which were taken as a precautionary measure during detention. In a corner of the room, kids sat on child-sized chairs watching Finding Dory, while others played with Barbie dolls, bouncing balls, and blocks. News that families are not being separated but might be detained has spread across the border to Mexico, where anxious families wait to cross. Many who fear death and extreme violence if they return to their home countries say they will still attempt to enter the U.S.
One smuggler — who told The Outline that people risked their lives in attempt to cross into the U.S. — said that Trump could “build up to the sky” and it would not affect their operations. “For us it will never be impossible,” he said. 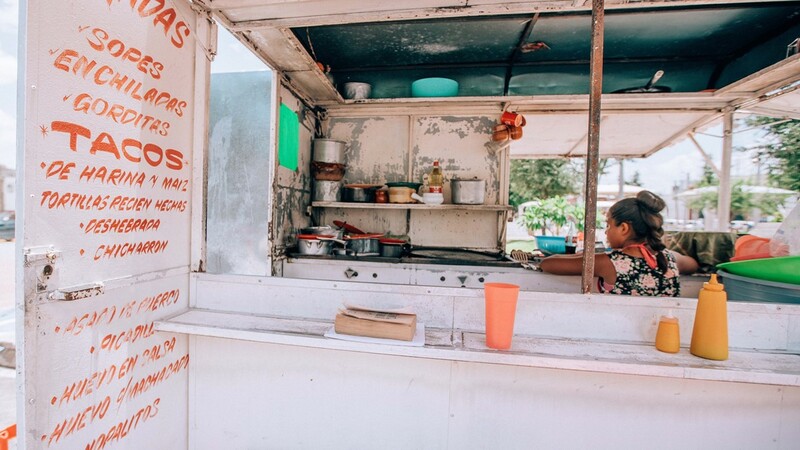 On a Tuesday night at the end of June, Argentina and her girls boarded a Houston-bound bus at McAllen Central Station for what they hoped would be the final leg of their journey. 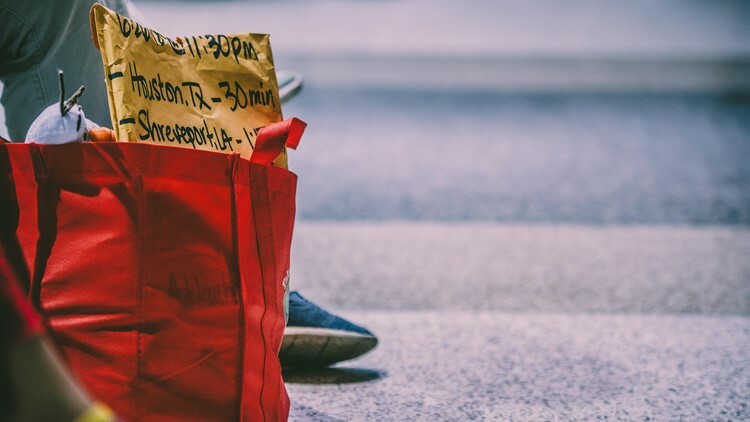 They carried with them just a few belongings and a red grocery bag holding two bottles of water, four ham-and-cheese sandwiches, and some other snacks. Two fathers with their sons were also on the bus, making similar journeys. 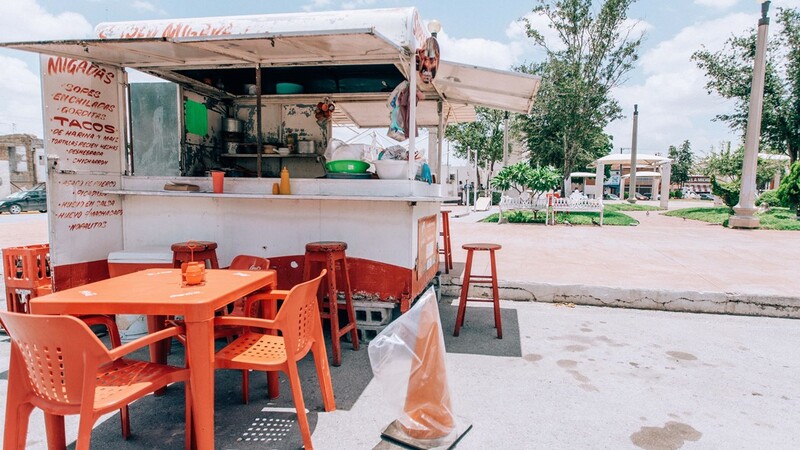 One had almost turned around in Puebla, Mexico, he said, when he heard the news that he and his three-year-old son — who slept with his feet on the man’s lap — may be separated. “We live in great poverty,” he said, adding that that is why they had decided to risk their lives to cross the border. His hearing would be the following month in Jackson, Mississippi. Wearing ankle monitors, and carrying manila folders and plastic bags filled with their belongings&mdash;some of the youngest of them with packages of vanilla cookies&mdash;migrant men, women, and children walk from a nearby bus station to Catholic Charities. 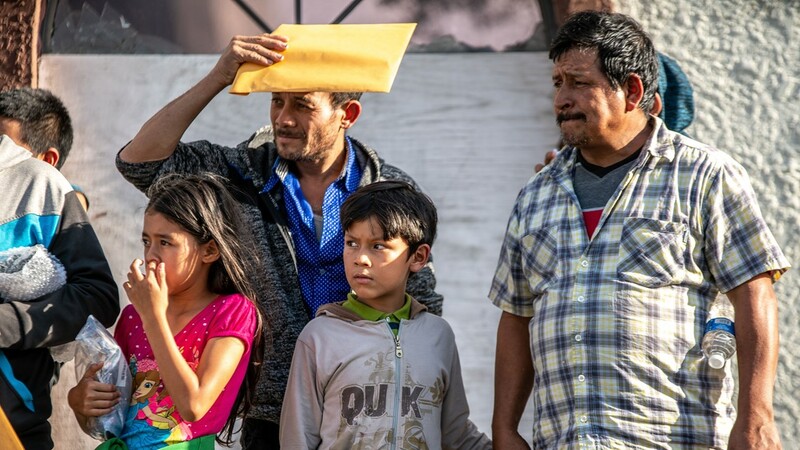 A group of men and young children stand outside the Catholic Charities Respite Center in McAllen, TX, waiting to be welcomed with food, showers, and a chance to &ldquo;feel normal again,&rdquo; as one volunteer put it. 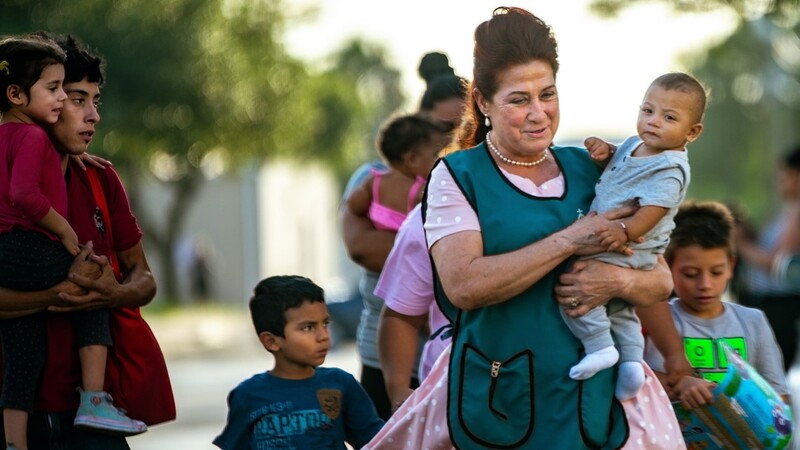 A volunteer from Catholic Charities in McAllen, TX, carries an immigrant baby as she escorts families to a nearby bus station, where they'll travel to stay with relatives and wait until the day they can plead their case for asylum. ABC10 correspondent Lilia Luciano teaches a young girl how to count change at a bus station in McAllen, TX. 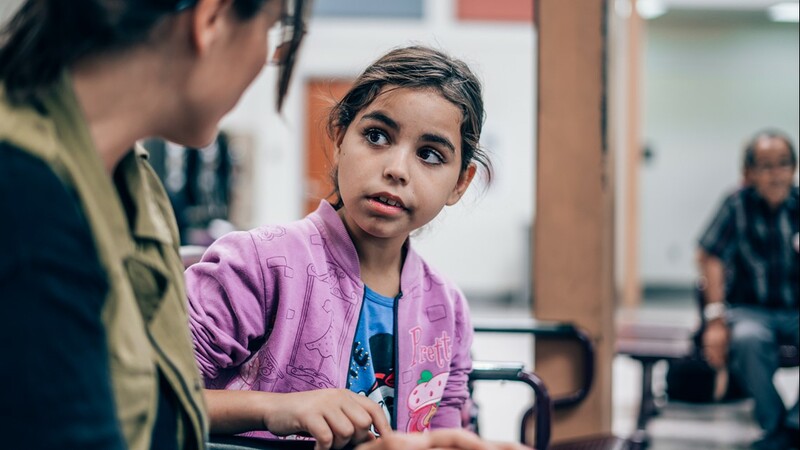 The girl's family had come to the U.S. seeking asylum, and were waiting for their bus to take them to a relative's house on the east coast. 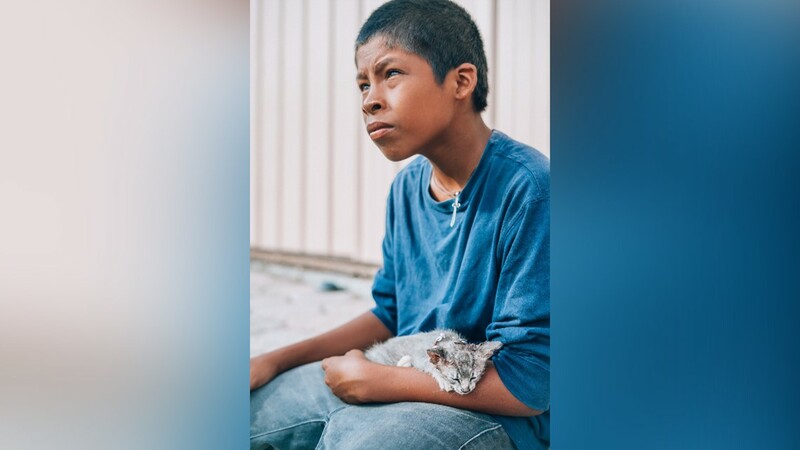 A portrait of a Central American boy holding an injured kitten at a border town shelter in Mexico. ABC10 correspondent Lilia Luciano laughs alongside a young South American girl who'd come to the United States seeking asylum. 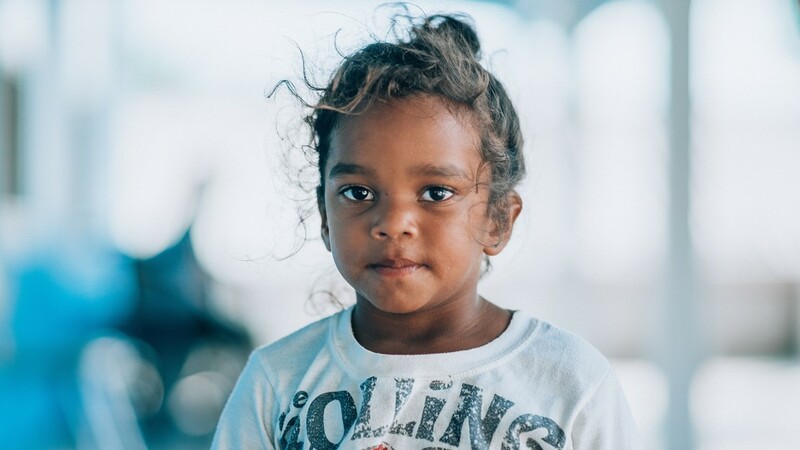 A portrait of a young Central American girl at a border town shelter in Mexico. A woman waits at a Mexican border town shelter. 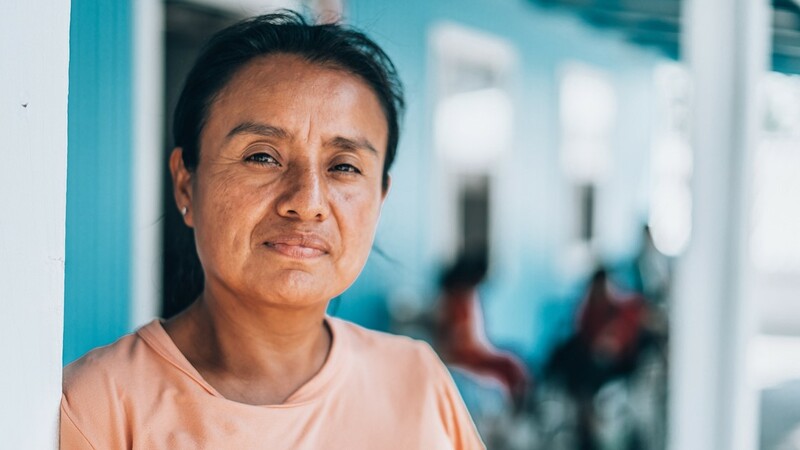 A portrait of a Mexican woman at border town shelter in Mexico. 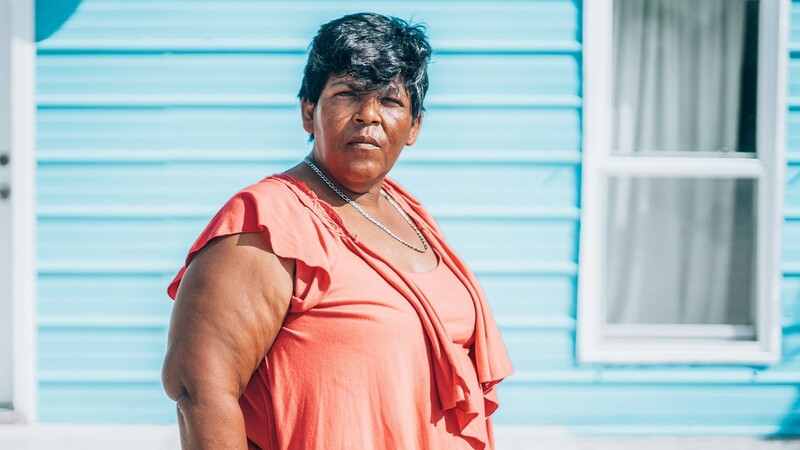 Fearing violence, she fled with her family from their home, and she's decided to stay in Mexico, afraid she'll be separated from her children if she crosses the border. A South American woman wears an ICE issued monitor around her ankle. These ankle monitors are used by ICE to track immigrants as they await their day in court to plead their case for asylum. This is the box that comes with each person's ankle monitor, with instructions inside in Spanish and English on how to use them. The monitors are used by ICE to track immigrants as they await their day in courtto plead their case for asylum. This story is produced in partnership between Tegna, ABC10 and The Outline.